Boomer balls are specifically made to withstand hard wear and tear by exotic animals. 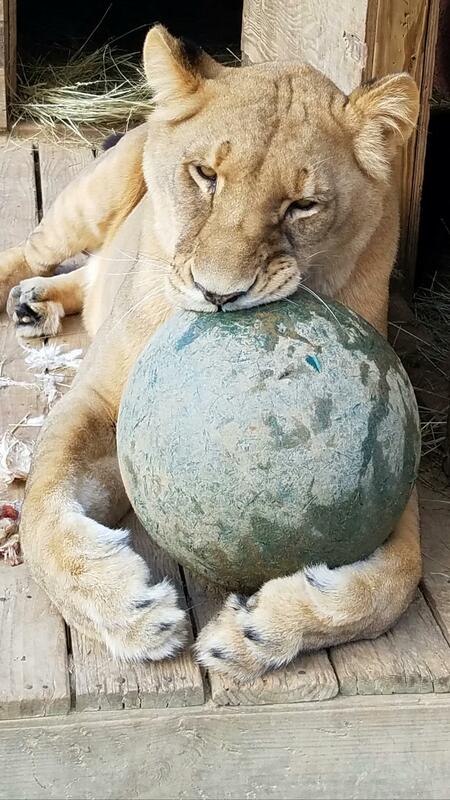 Some of our large cats love playing soccer with them! This is a restricted donation that will go directly towards the purchase of this item.